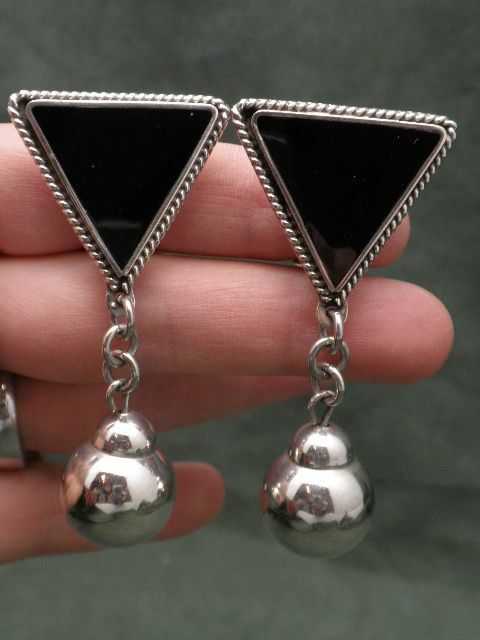 Sterling silver onyx clip earrings. 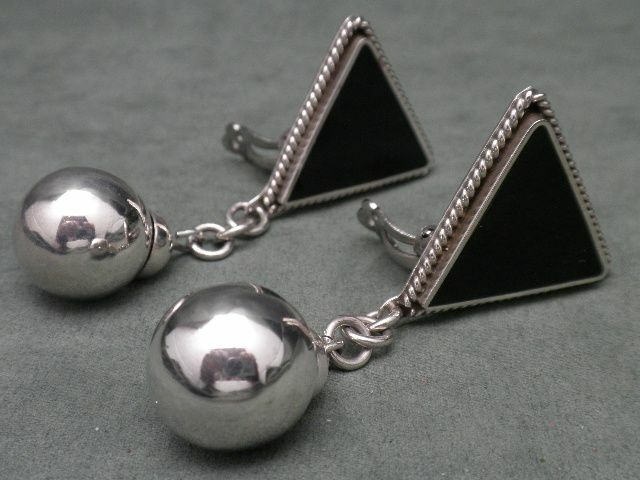 The earrings are vintage modernist. 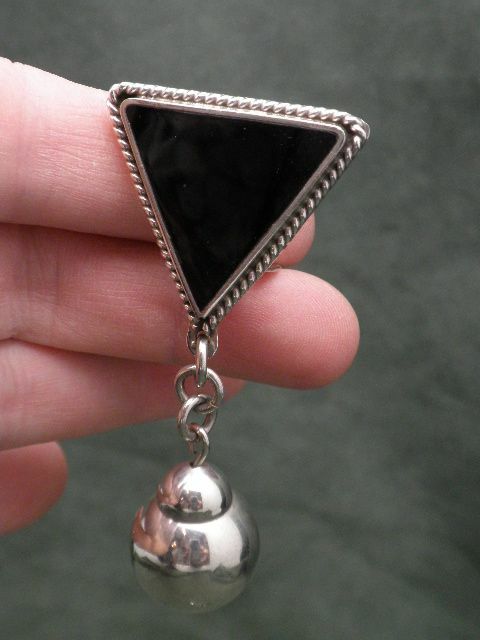 They measure 2 3/4" long including ball drop by 1 1/4" wide. The clips function welll and fit securely. 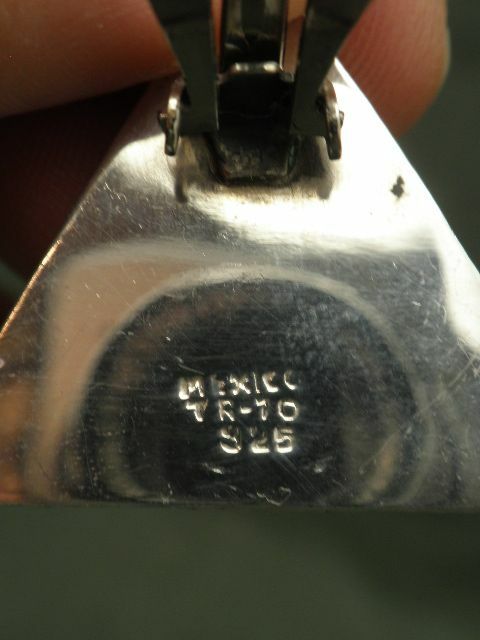 The earrings are hallmarked Mexico and sterling.